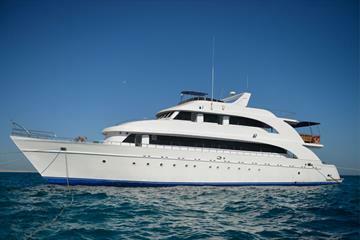 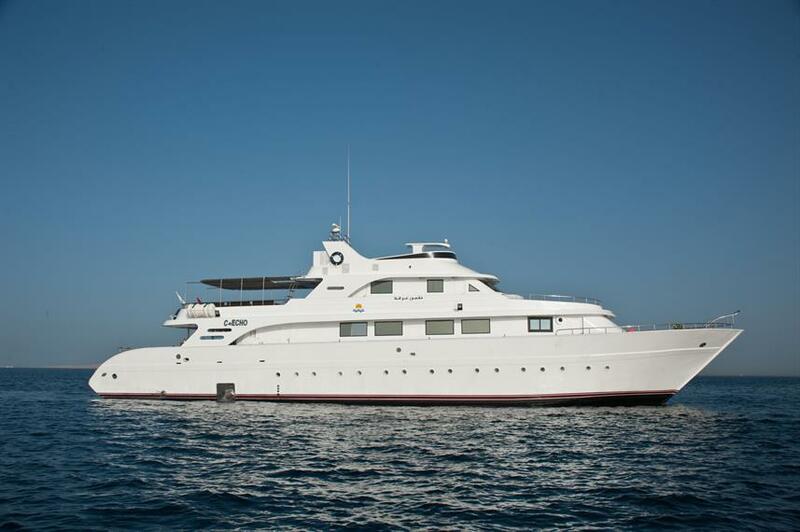 Join the Sea Echo 2 liveaboard and explore some of the best dive areas in the Red Sea. 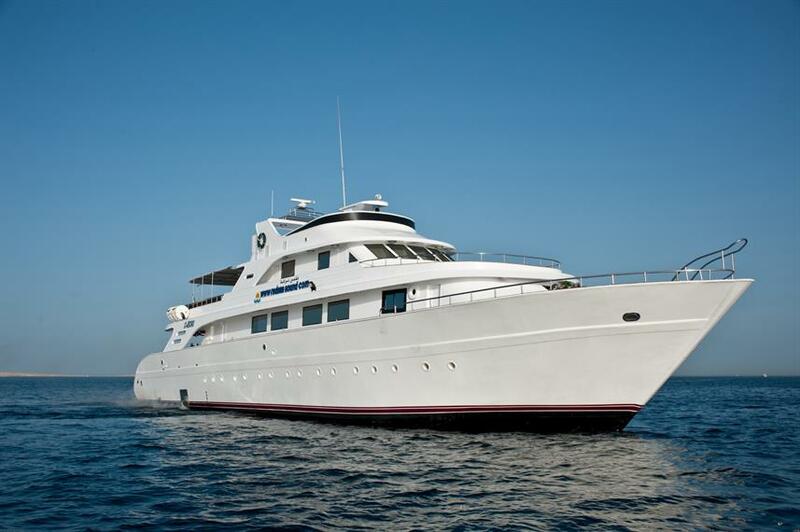 Dive itineraries include the 'Golden Loop' which covers the northern dive sites of Ras Mohammed, the Thistlegorm wreck and added shark action at the Brothers. 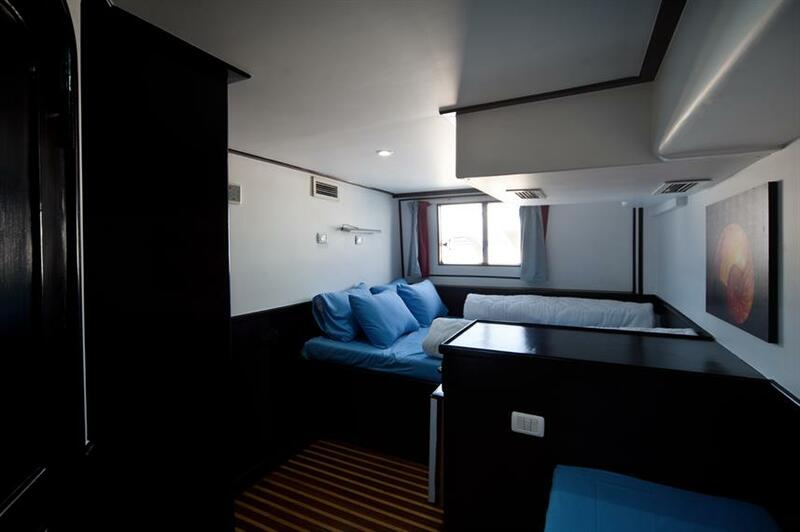 Stunning walls and big pelagic action is on offer during the 'Daedalus, Rocky, Zabargad & Elphinstone' itinerary with up to 16 dives over 6 days available. 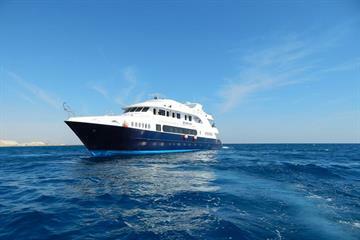 Other itineraries also cover St. John's, Fury Shoals & Tiran. 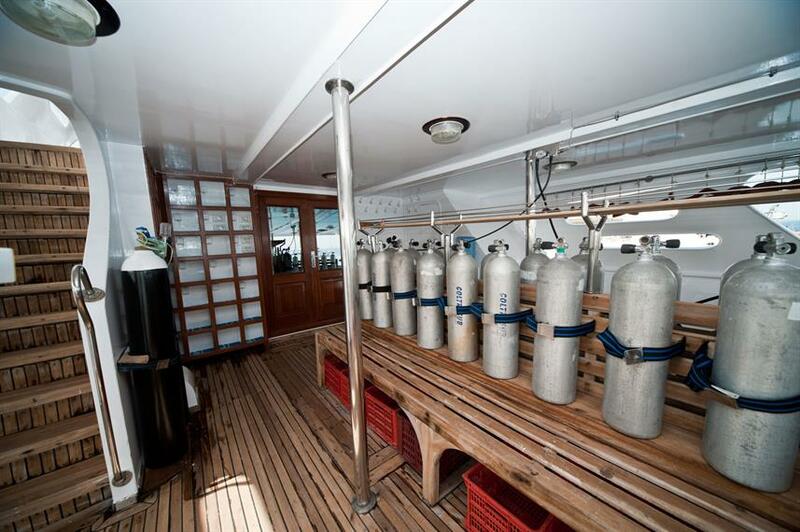 The spacious dive deck at the back of the boat offers ample room for kitting up, gear storage and kit rinsing. 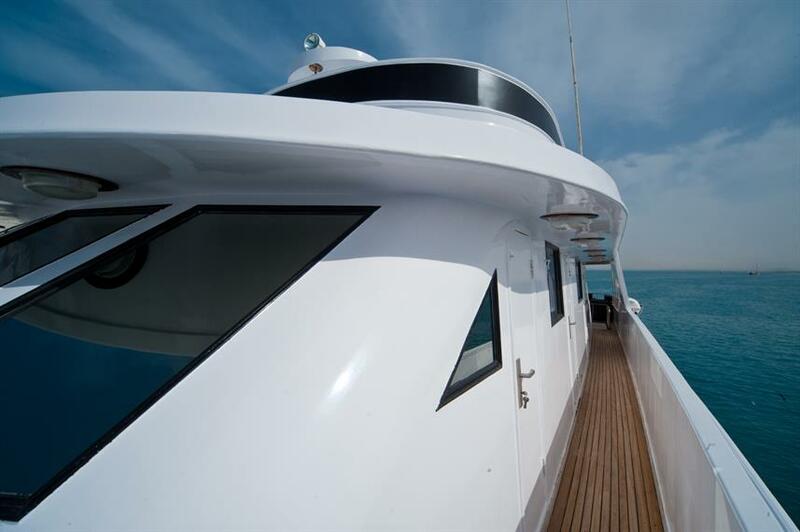 The large dive platform and tenders make for easy entry and exit from the dive sites. 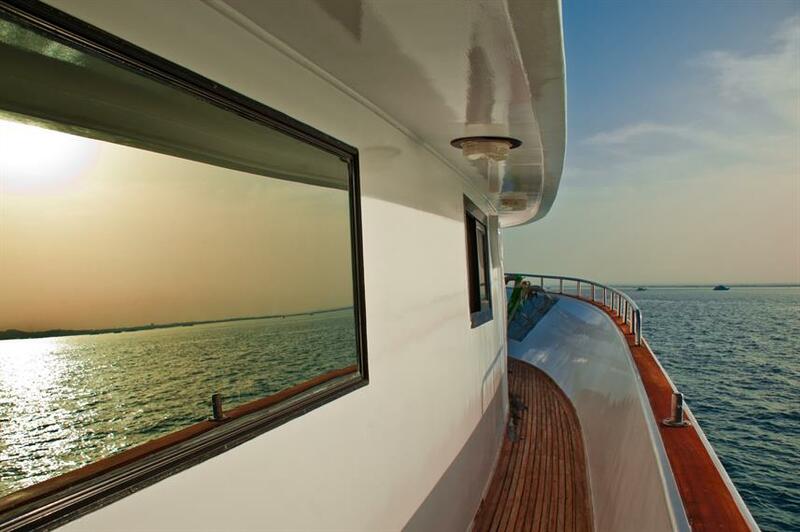 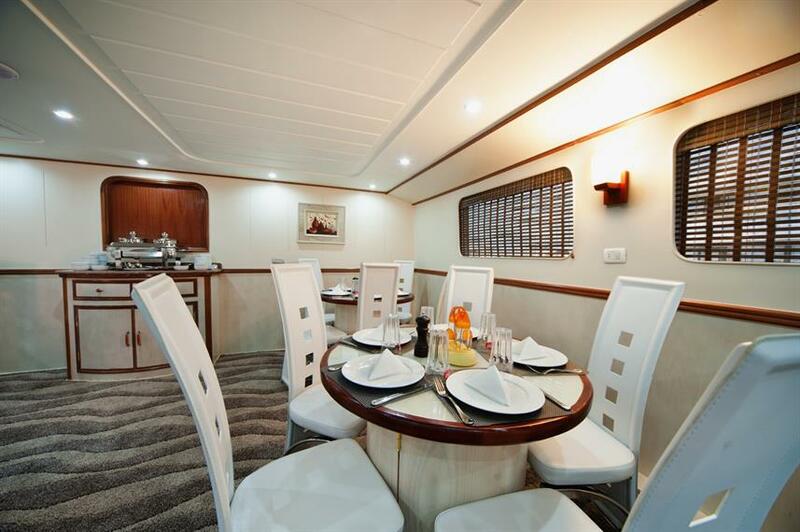 Topside, the 37m Sea Echo 2 accommodates 24 guests in 12 en-suite cabins. Cabins are bright and airy and feature AC and storage space. 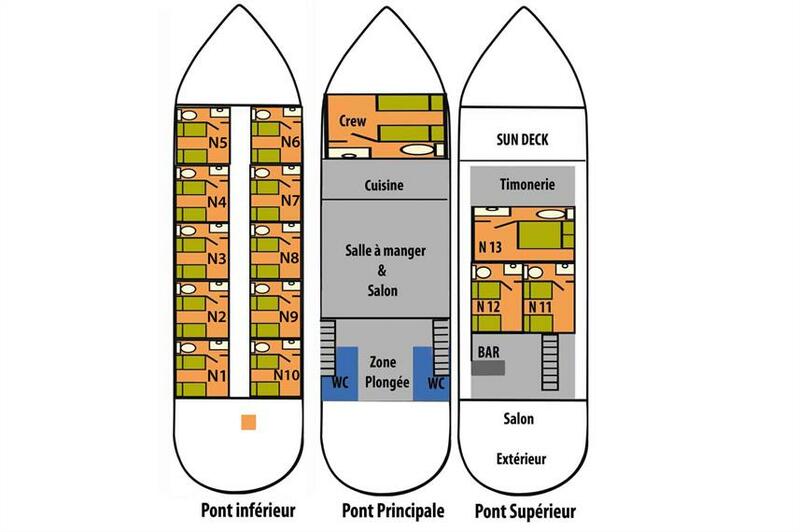 There are 1 double cabin and 11 twins. 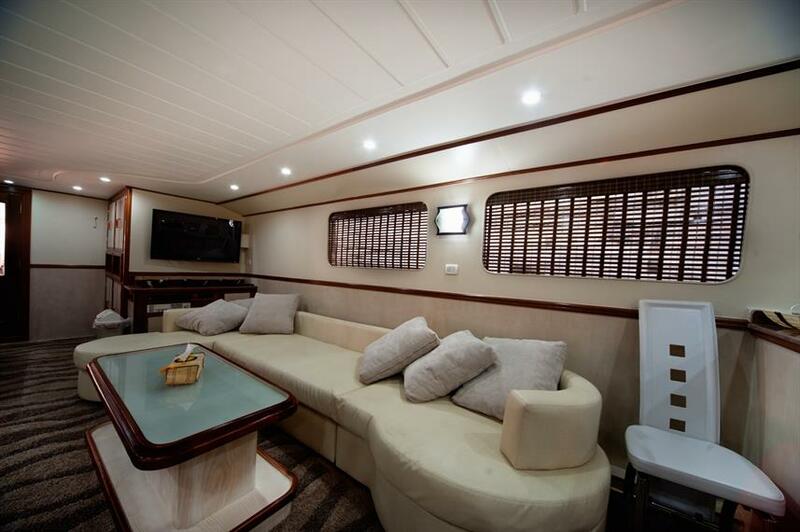 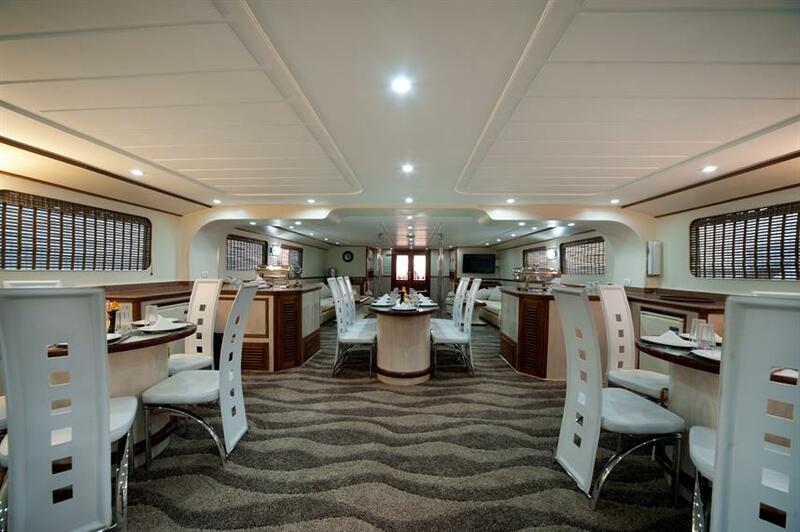 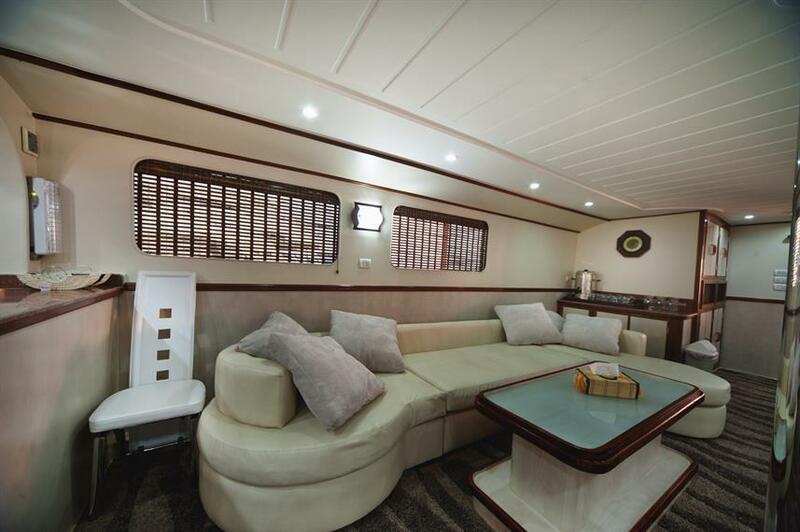 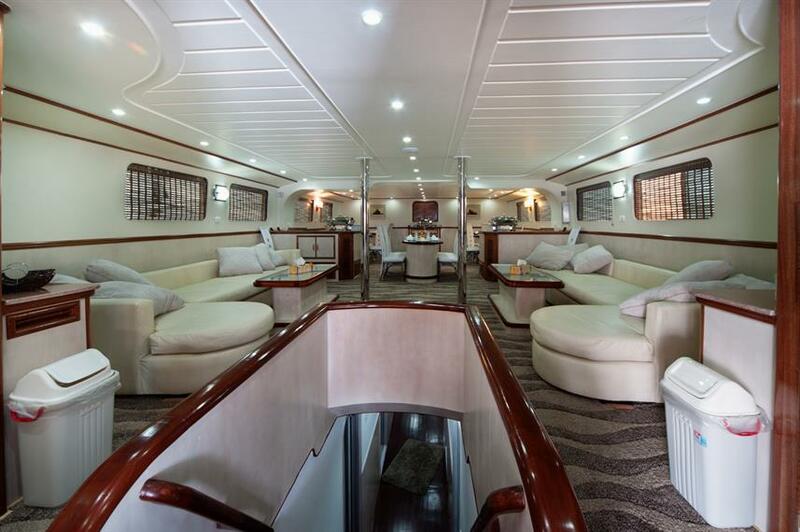 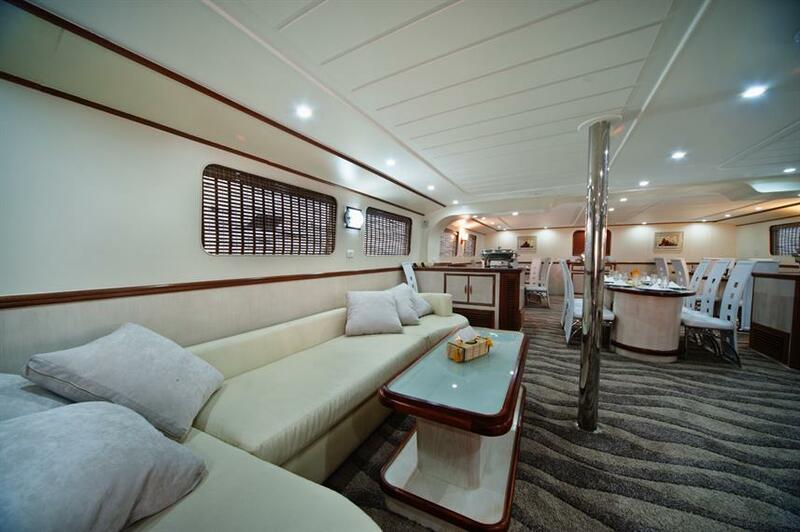 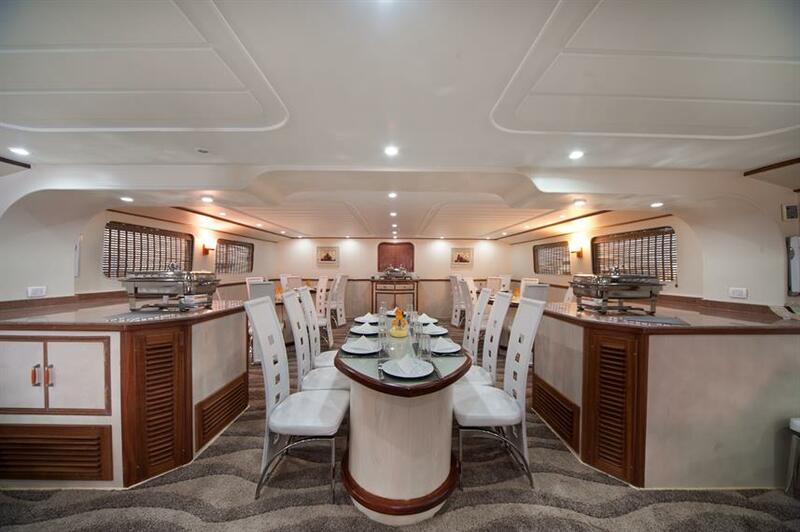 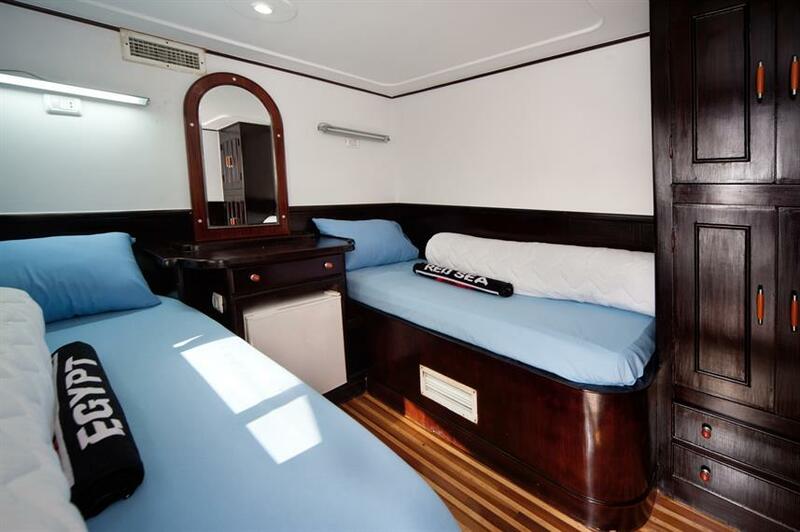 On the main deck is a large dining room with buffet and drinks station, salon with comfortable sofa and entertainment system. 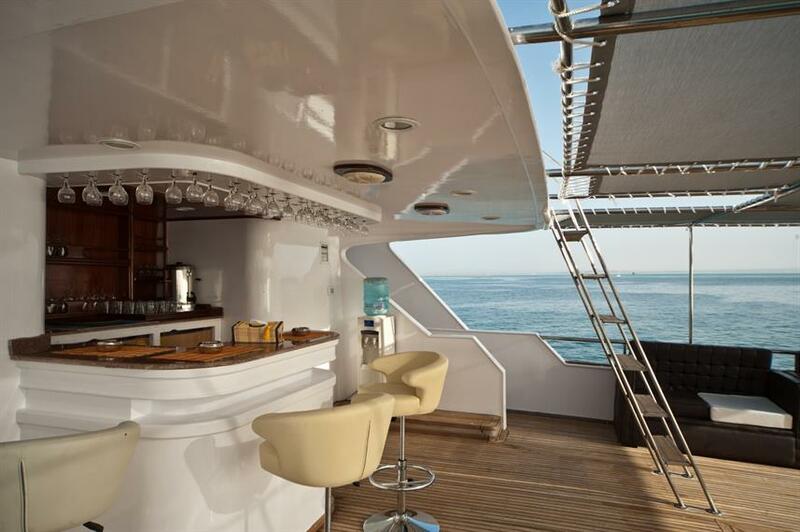 On the upper deck is an al-fresco lounge with bar. 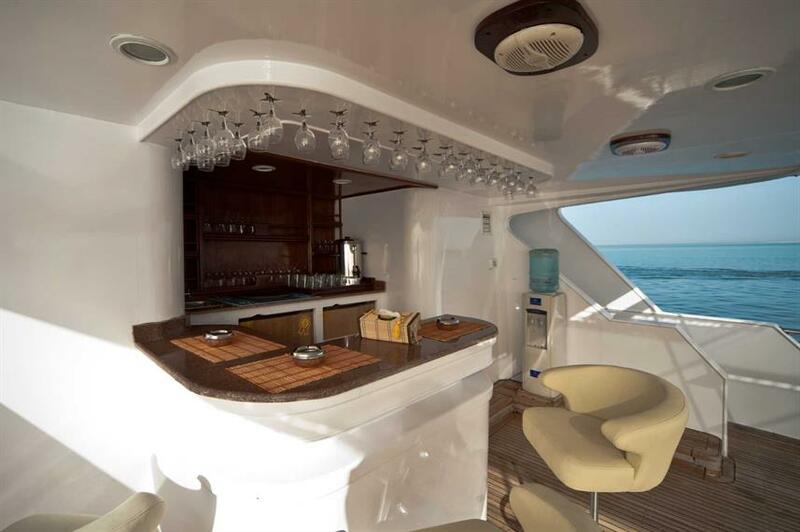 Ideal for enjoying the sea breeze and relaxing with a cold drink at the end of the day. 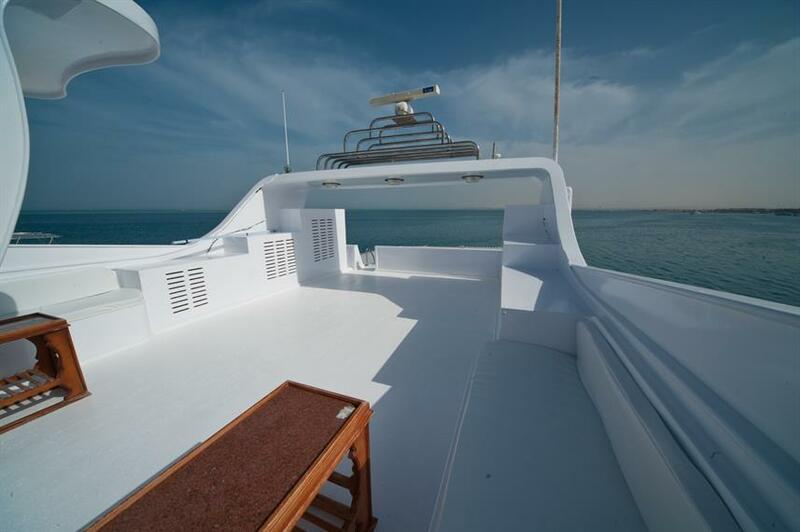 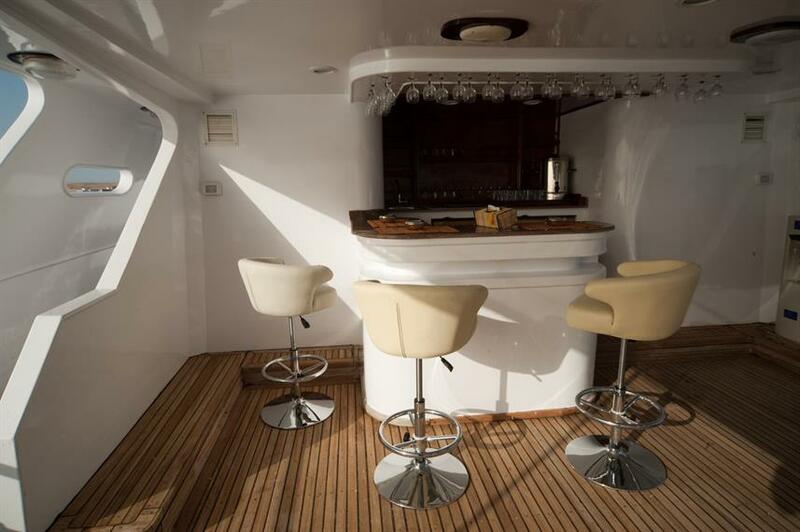 The upper deck bow and sun deck have padded mats and a shaded area to soak up the sun in between dives. 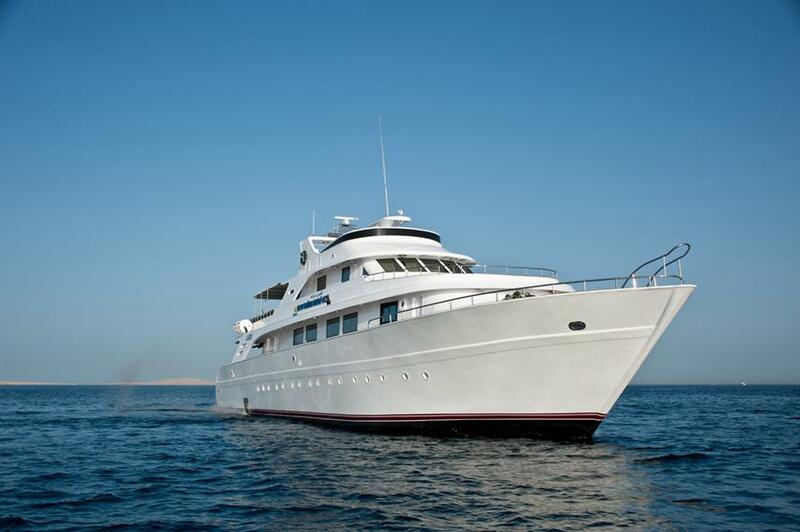 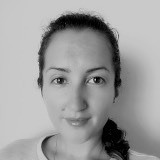 The experienced and professional crew of the Sea Echo 2 are on hand to help you have a memorable Red Sea diving safari. 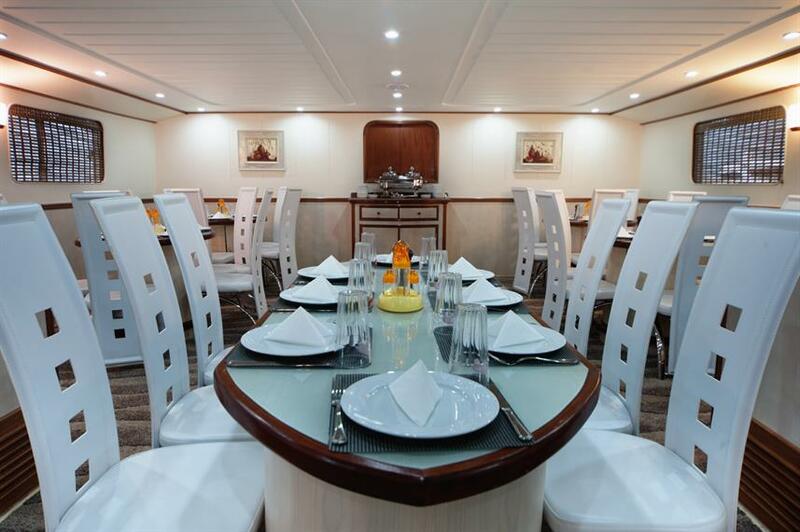 Book online or call us today to reserve your space. 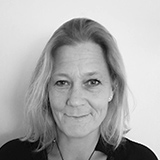 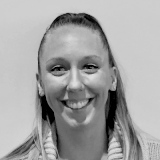 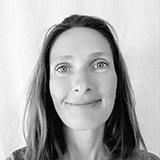 Optionele Extra's: Duikverzekering (7 EUR per reis), Fooien (30 EUR per reis), Kamerkosten (7 EUR), Alcoholische dranken, Frisdranken bij het diner, Duikcursussen (55-320 EUR), Nitrox cursus (130-245 EUR), Privé duikgids, Verhuur uitrusting, Was/ strijk service, Massage.